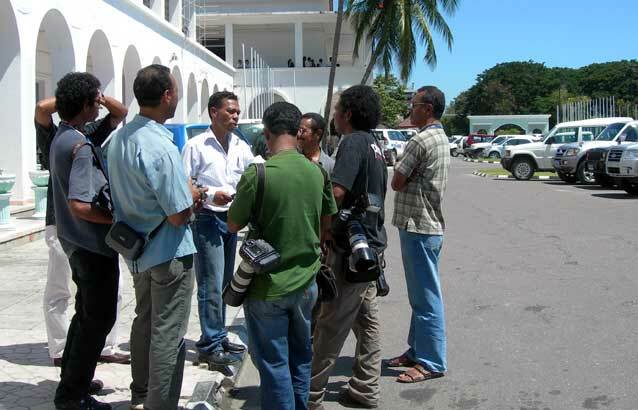 Breaking the News will have its premiere screenings in Dili on Thursday 29 March 2012. Screenings will take place at 7:30pm and 9.00pm at FUNDACAO Oriente, Rua Dr. Antonio Carvalho, No. 13 - Apartado 470, Dili. Tickets can be pre ordered, information is available via the Facebook event. See the event poster for download (416kb). The Breaking the News DVD with extras is due for release by late 2012 and available to pre order. Please join our Facebook group for further updates about ordering the DVD and to stay in touch with the film and our continued interest in independent journalism in Timor Leste.